The digital age has successfully uprooted the traditional operating models of countless industries: from energy delivery to the way we buy groceries, the benefits of a connected world can be seen all around us. 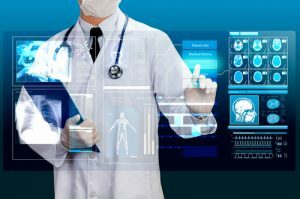 But what about health in the digital age? Though still in the nascent stages, digital health is making inroads that can be felt by patients and providers alike using technology to deliver more personalized and efficient care. Most people now are familiar with using wearable and connected devices like Fitbit and Withings to monitor their own personal metrics. 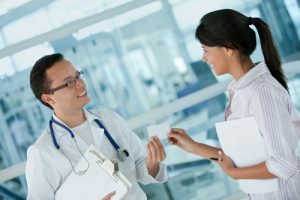 But increasingly, consumers want to use this information to connect directly to their healthcare providers. Fitbits, Jawbones, and other devices are all well and good, but if the information doesn’t produce an outcome, the consumer quickly asks, “So what? Why am I spending good money on tracking my health if it’s not actually going to help make me healthier?” It’s a legitimate question and one that indicates both the early stage and opportunity granted when looking at healthcare in the digital age. 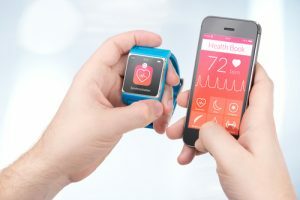 A prime example of how wearable and sensor data is being harnessed to connect patients and health care providers is a diabetes-monitoring project spearheaded by U.K. company Outcomes Based Healthcare. Using sensors on the Android phone (28 of them, to be exact), they measure everything from geolocation to a number of steps to environmental influences. This passive sensor data collected by the Sense360 app, combined with active engagement with the patients is being correlated to actual patient behavior. The benefit of this interactive, health-related data-tracking is obvious to doctors, nurses and clinicians. After all, knowledge is power and according to OBH: “When we are sick or unhappy, we use our phones differently. The more providers know about the daily activities and vital health measures of people with diabetes—not only the 30 minutes spent in their offices, but the hours and weeks spent in their daily routines—the better quality, customized care they can provide with better outcomes. Obviously, it’s a two-way street. It’s not just the providers that benefit from the Internet of Humans (IoH). Whether an individual suffers from a chronic disease or is among the millions of “worried well” who will visit a doctor’s office for one reason or another this year, consumers look to gain from monitoring the data their bodies generate 24 hours a day. If you’ve ever tried to make an appointment with a dermatologist, then you know it is often months before you can even be seen for a screening visit. With that in mind, a Dutch company called SkinVision has created an app that uses just the power of the cameras in your smartphone and artificial intelligence to skin moles. Simply take a picture of a mole with your phone and the app will help you track skin changes that could imply a risk for melanoma. According to a 2013 study published in the Journal of European Academy of Dermatology and Venereology, the app is 81 percent accurate in detecting melanoma. SkinVision is assisting doctors in making early judgments on potential skin diseases, and that fact has enormous implications to millions of people. Another benefit is that certain tests that were once expensive and inconvenient may no longer be necessary. For example, individuals who suffer from sleep apnea are often sent to sleep centers for diagnostic testing. Not only must the patient spend the night (or several nights) outside the comfort of his or her own home, hooked up to a few dozen wires, they (or their insurance companies) are then charged for the testing. Who would opt for this management if the ability to monitor sleep habits and parameters could be done in their own bed? In turn, device companies like ResMed create continuous positive airway pressure (CPAP) machines to treat sleep apnea that record and transmit real-time patient data. These products are not purely utilitarian; they’re also stylish. Misfit, a company that invents and designs wearable smart home products, was recently acquired by watch company Fossil, while Swiss luxury manufacturer Montblanc launched their own digital health clip (e-Strap) for their watches. Finally, there is a huge population of individuals who probably don’t own a smartphone, much less a Fitbit. 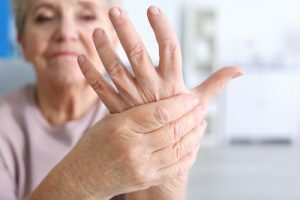 While the aging and elderly population may not recognize it, digital health technology can serve as an “I’ve-fallen-and-I-can’t-get-up” device on steroids. As more people desire to age at home, health technology can make that possible whether through drug regimenting wearables, chips that are inserted or ingested and communicate with home sensors, or even robotic, AI-assisted living. This is an invaluable benefit not only to them but their caregivers as well. 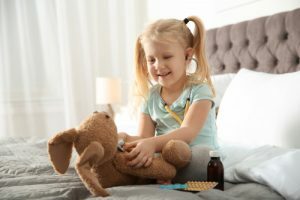 A robotic device, such as Tinybots’ Tessa, that talks to dementia patients and asks them simple things like, “Do you want to hear some music?” and, “Have you taken your medication today?” serves as a surrogate caregiver that directly communicates back to their human counterparts in real time. Certainly, these examples are just a few of the many hundreds constantly being researched and manufactured. Health in the digital age is still in its inception—there will always be regulatory concerns, and at some point there needs to be a consolidation of options and a standard language of incorporation into electronic medical records (or a complete re-invention of an EMR). It is far from seamless right now. But within these seams is an opportunity, and the health consumer is the key. Whether you are selling business-to-business or straight to the consumer, keep experimenting and keep their engagement high. Ultimately, while digital health is still early on in the hype cycle, the prospect of getting to highly personalized health care by using all the data that is being collected is both enormous and impossible to ignore.